One of SMDC’s impressive development of Residential Condo in the primary location along the Manila Bay, here comes Coast Residences. You will likely to experience the artistic, wistful and everlasting attractiveness of Manila Bay. 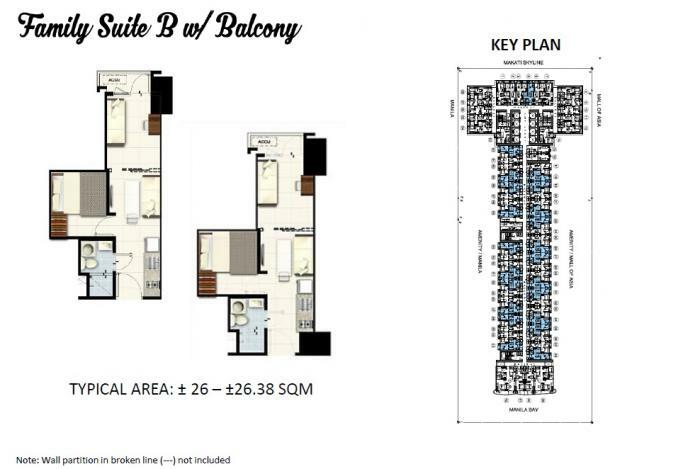 Have your frontage place right in your own home to see the well-known Manila Bay’s sunset. Be neighbors to shopping malls, cultural centers, museums, hotels, casinos, embassies and convention, trade centers and air port. This is a perfect place for families, businessman, young professionals and bachelors either for residential or investment use. 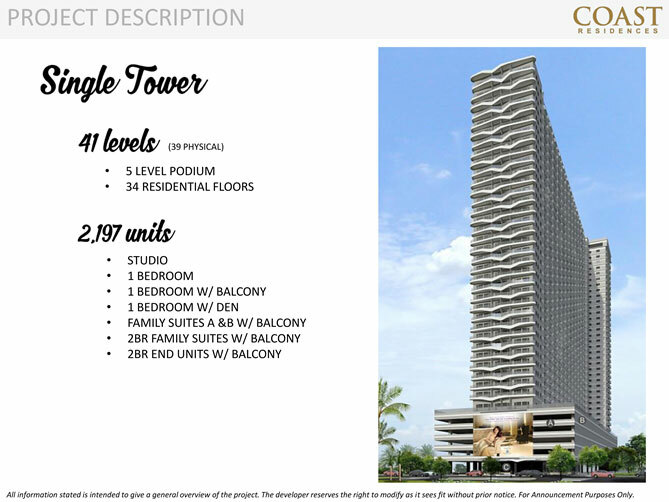 Grab a piece of your very own condominium unit and enjoy the freedom of the city life and the breathtaking view in Manila Bay. Designed to capture your eyes with its sea-gull inspired façade design, Coast Residences soars 41 storeys high. The angles of its wings serve as the balcony of units, where one can enjoy endless views, enhanced by harbor lights and dazzling city sights. 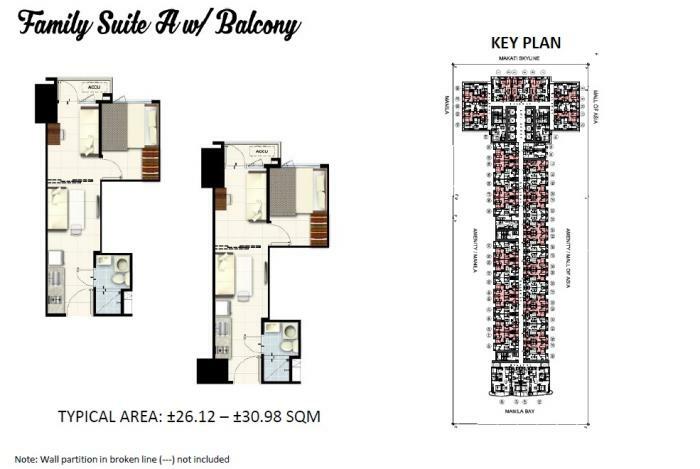 Coast Residences consist of 5 podiums and 34 residential floors with 2,197 units in all. 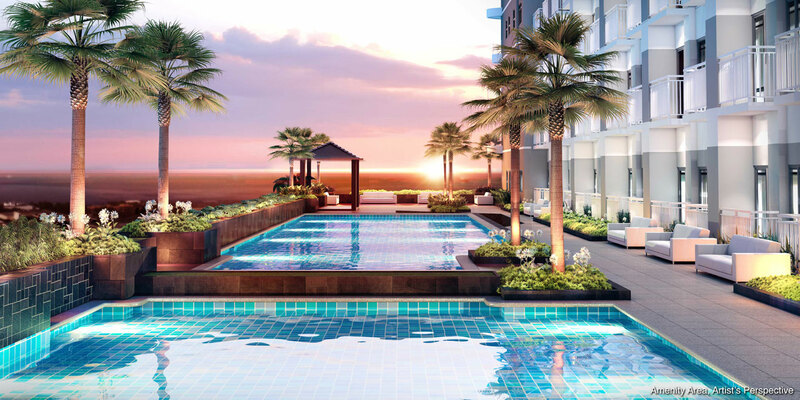 Situated in Roxas Boulevard, Coast Residences gives grand views of Manila Bay Sunset and the Metro Manila Cityscape. With a stunning exterior design and interior inspired by Bali’s top hotels. Coast Residences gives a new view on premier condo living. You will sight and love the Dramatic View of Manila Bay Sunset from your Balcony. A Game Room for residents is designed with floor-to-ceiling windows, allowing natural light to fill the spaces, and affording one panoramic views of the Makati’s dazzling city sights and Mall of Asia’s splendid fireworks display. The opulent lobby, with its granite porcelain floors, ambient-mood lighting, inspired design details, and friendly front desk service, redefines luxury living while providing a warm welcome to residents and guests. Each space in Coast Residences hosts a harmony of inspiring sights and indescribable refinement that provides both a sophisticated atmosphere and a relaxing environment. Take a quick dive and refresh in the Breathtaking Pool for adult and kids which embraces the full beauty of its waterfront location, and view deck facing Manila Bay, for truly distinct leisurely moments every day.